The Bach Packster 32 is a no-nonsense waterproof backpack for shorter backpackingtrips and hut-to-hut hikes. Read the review and watch the video! The Bach Packster 32 is a no-nonsense waterproof backpack for shorter backpackingtrips and hut-to-hut hikes. Like most Bach packs the Packster is a very straightforward pack. The pack is made out of durable 500D* Cordura nylon. The pack weight in total as measured on my precision scale is 1541,4 grams, of which the detachable hood weighs in at 197,9 grams. Bach claims a total weight of 1450 grams. The Bach Packster 32 that I am reviewing has a fixed back length of 55 cm. 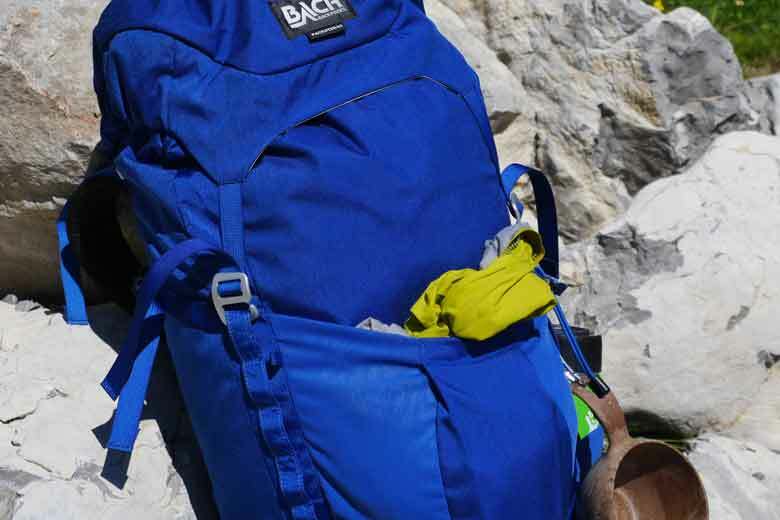 The Bach Shield Pro carrying system of the Packster 32 is simple but effective. The backpack sits close to the back. This gives a very secure feeling since the weight is close to the body. Especially on difficult narrow tracks this is a big pro. The backpannel has a slight curve so that a padded mesh ventilation area between the pack and your back is created. The backpanel has a HDPE – plastic – backplate and an aluminium ‘spine’. Thanks to this aluminium stay it is possible to shape the back panel a bit to your personal liking. The Back Packster 32 is made for rainy conditions. The shoulder straps are pretty curvy and follow the body and the 15 mm padding is quite firm but that is something I like. On the shoulder straps the load lifters with their adjustable attachment points on the shoulders are excellent. 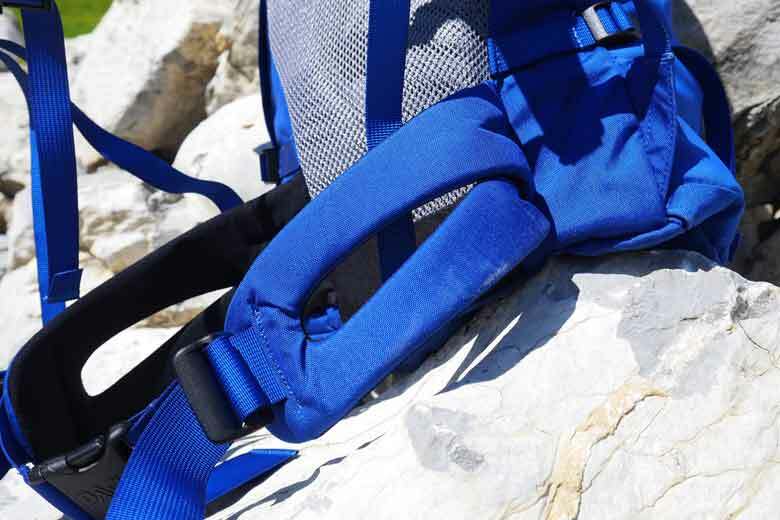 The chest strap is easy to adjust and after adjusting, it stays in the same place. And that is not always the case. 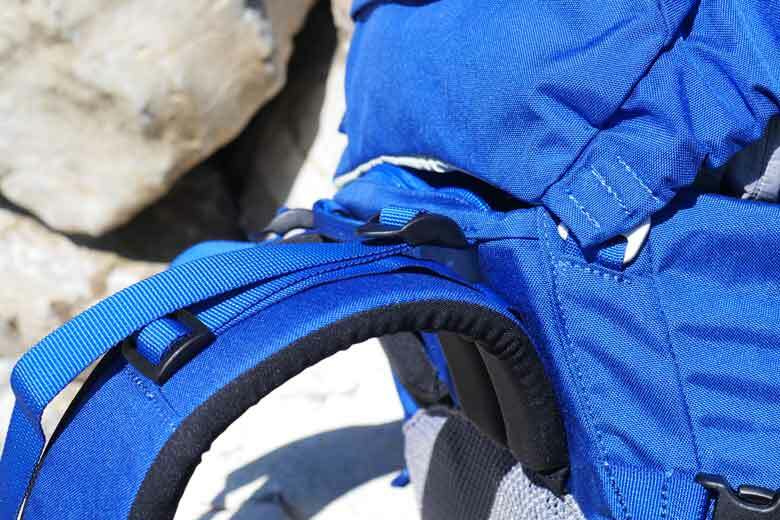 The Bach Shield Pro carrying system of the Packster 32 works fine up to 15 kg. 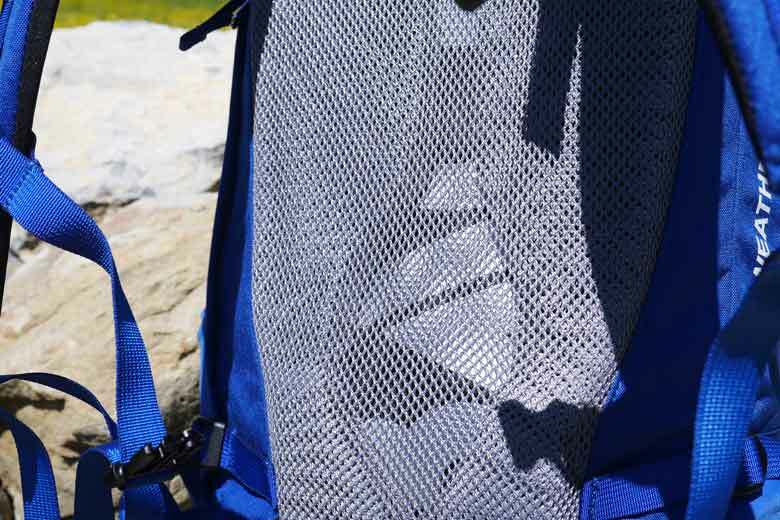 The Bach Shield Pro carrying system of the Packster 32 has a mesh back. The loadlifters on the Bach Packster 32 are fully adjustable. The hipbelt is very flexible and minimalistic. Because of its clever cut and shape it forms well to my hips and takes the weight from the shoulders. 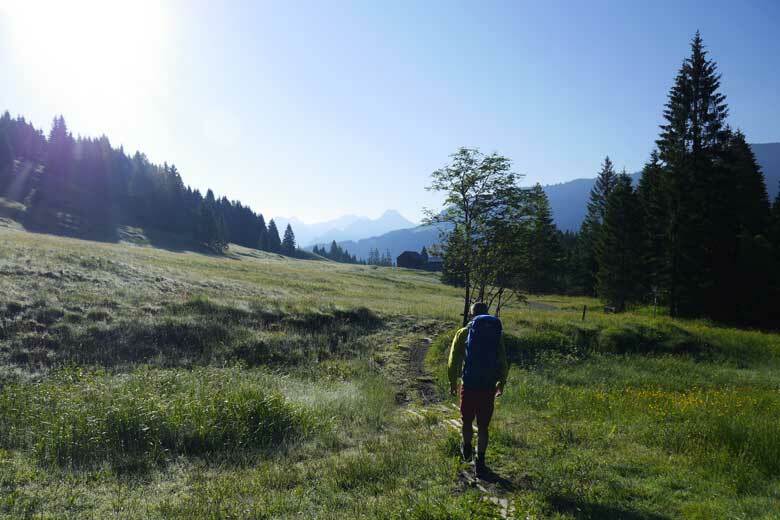 But beware: don’t put too much weight in the pack because the hipbelt is not built for this. About 12-15 kilograms is the max! De hipbelt of the Bach Packster 32 is minimalistic but does the job. The main compartment is about 32 liters in volume. It is a toploader with a rolltop and zipper. This rolltop zipper construction is there for a reason. The big thing about this one big compartment is that it has a ‘separate’ waterproof liner. And this is different to other waterproof packs that I tested in the past. 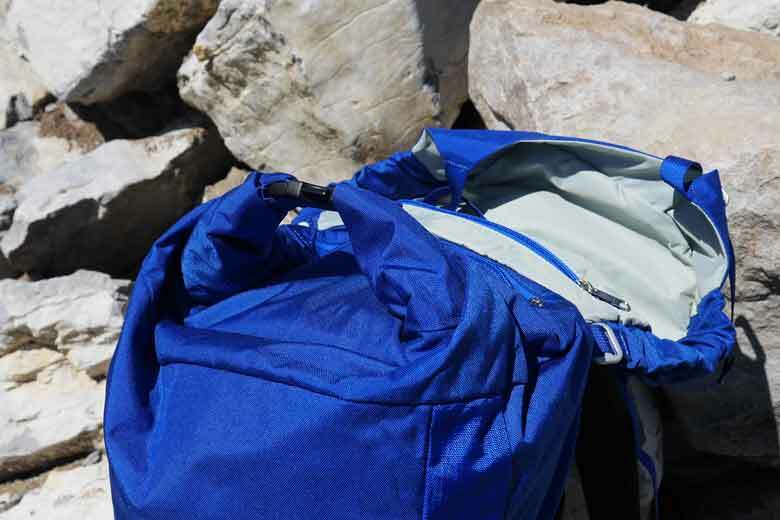 The Bach Packster 32 might be waterproof but works with fine weather too. 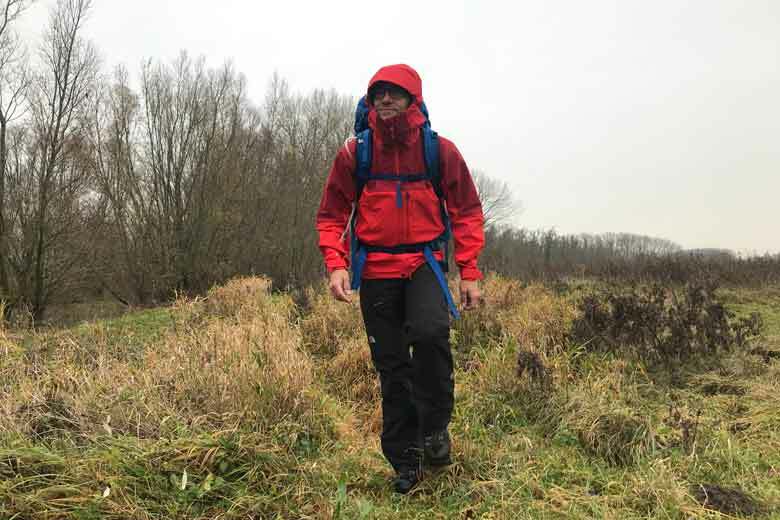 Most waterproof packs are waterproof because the materials they are made of – the main outer fabric – are coated on the inside. This is mostly a Polyurethane coating. The stitching seams are made waterproof by taping them. Bach does this differently. Inside they made a separate 100D* TPU-liner. It’s like a waterproof bag that is often used for kayaking or canoeing. The good thing about the liner-construction is that it is only connected to the backpack on the top of the pack where you find the rollzipp to close the bag. The liner is not fixed at the bottom of the pack. So if you want to clean the inside of the liner you can take the liner almost completely out of the pack. Rinsing with a shower is easy this way. The liner itself is made of a very sturdy material and I have no issues with wear and tear during my half-year review period. The rolltop of the the Bach Packster 32 has a zipper as well. The rolltop is perfect to keep water out of the Bach Packster 32. The consequence of the waterproof liner is that there are no other entries into the waterproof compartment, so you have to pack the Packster carefully. Otherwise you will end up with packing and unpacking the pack for the wrong reasons. But… on the left side of the Packster 32 is a big vertical zipper that gives access to the other side of the waterproof liner. 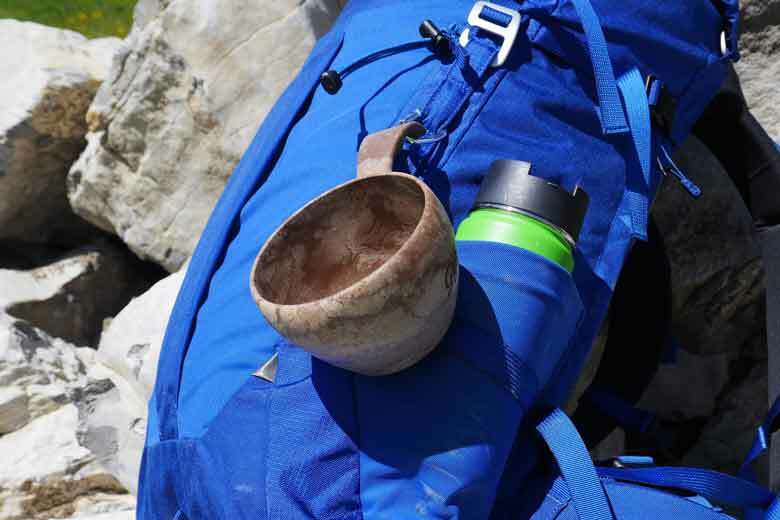 This non-waterproof compartment is a good place to store wet stuff or… gear that is packed in smaller waterproof bags. 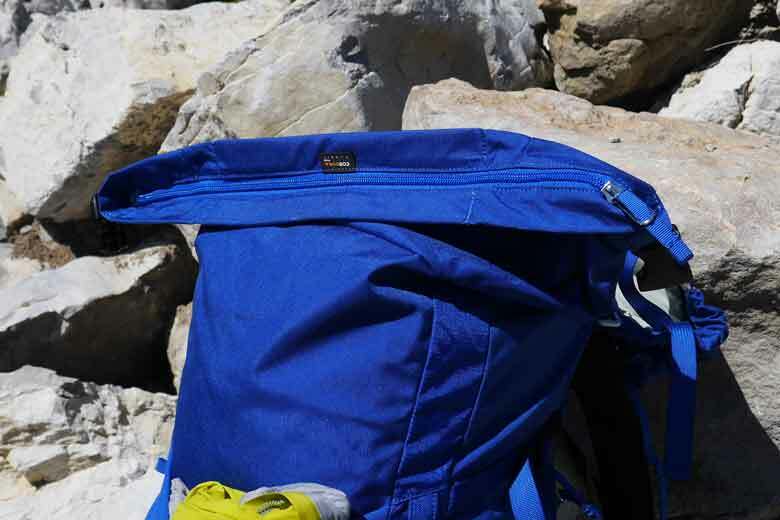 Combining the waterproof and non-waterproof compartment can be a clever way of packing the Bach Packster 32. The zipper on the side gives entry to the not waterproof compartment. The removable hood on top of the rolltop has one inside pocket with a zipper. Inside the pocket is a warning that this pocket is not waterproof. The same remark is made for the outside pocket in the hood. This pocket has a zipper as well and has a large tab so the zipper is easy to use with gloves or cold hands. Inside the pocket is a key-ring hook and 4 elastic loops. 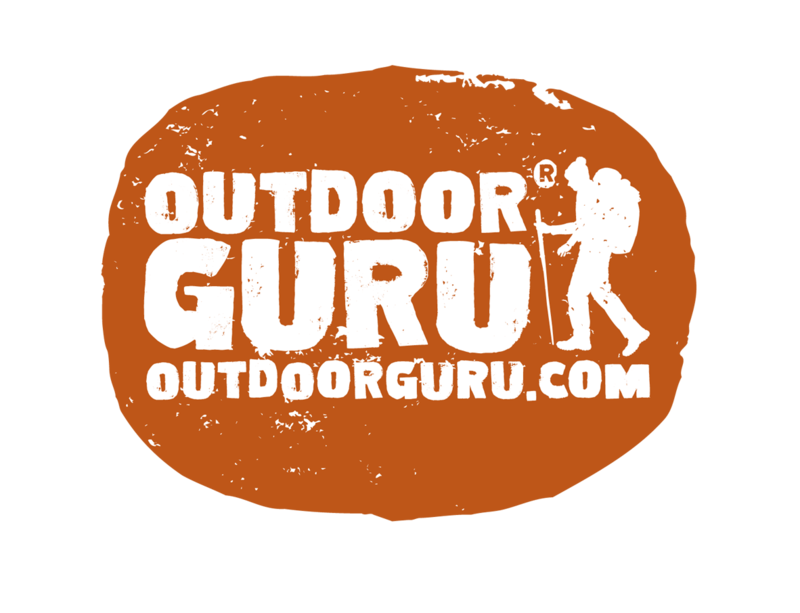 These can be used on the outside if you want to connect a pair of trekking poles or axes to the pack. 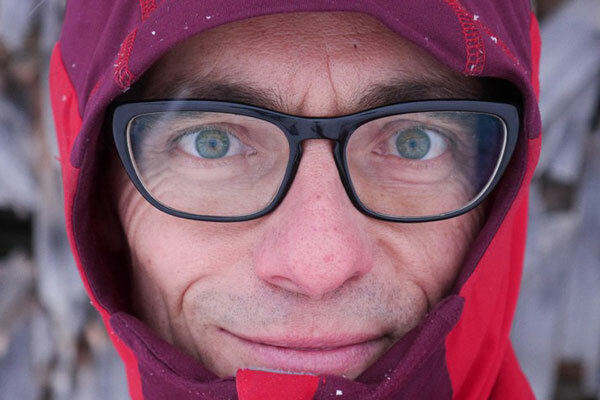 I do miss a dedicated attachment point for poles or ice axes though… The hood is fully adjustable in height, so you can store for example a tent underneath it. The hood can be removed simply by detaching the beautiful aluminium hooks but it cannot be used on it’s owns as a belly pack. On the back of the Bach Packster 32 you find some small reflectors to enhance visibility when it is dark. This is lacking on a lot of packs. On the rear is a large mesh pocket that is partly made from an elastic mesh material. It’s large enough for a down- or rainjacket and it’s the ideal place for a wet towel to dry. On both sides of this pocket are 5 lash loops that are used if you want to attach (with the provided loops) extra gear to the pack. 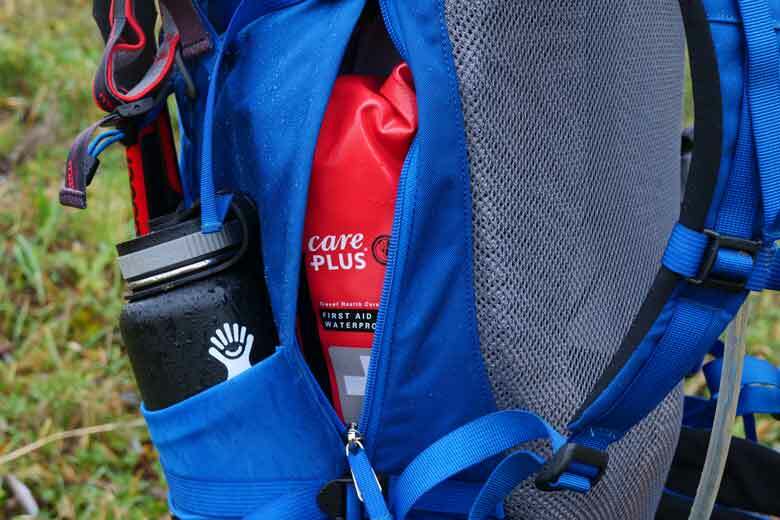 On the side of the Packster 32 are two elastic mesh pockets to store water bottles or a thermos. I experienced that these pockets are not deep enough for the bigger bottles. So take care if you use these and secure bottles always with the compression strap or even with a piece of rope or carabiner. The mesh pocket on the back is of the Bach Packster 32 is fine for a wet towel. On either side the Bach Packster 32 has five stash point. 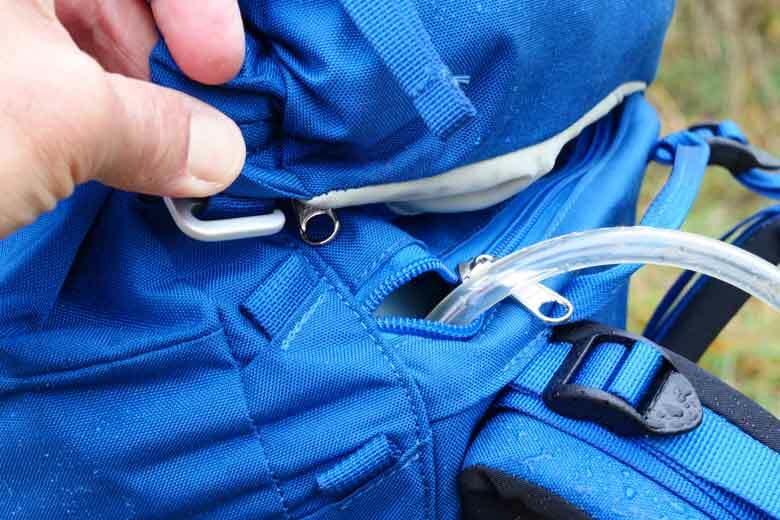 The Bach Packster 32 has an extra zipper in the top if you want to use a hydration system in the pack. Inside there is a loop to secure the bladder. During testing I didn’t particularly like the way the hydration system works with the pack. In the first place it is very hard to place the bladder. The opening is big enough, but the TPU-liner is very rough, and the bladder needs some persuasion to get in the pack. With a packed backpack it is almost impossible. The second thing that I don’t like is that the hose must go through the not fully closed zipper. 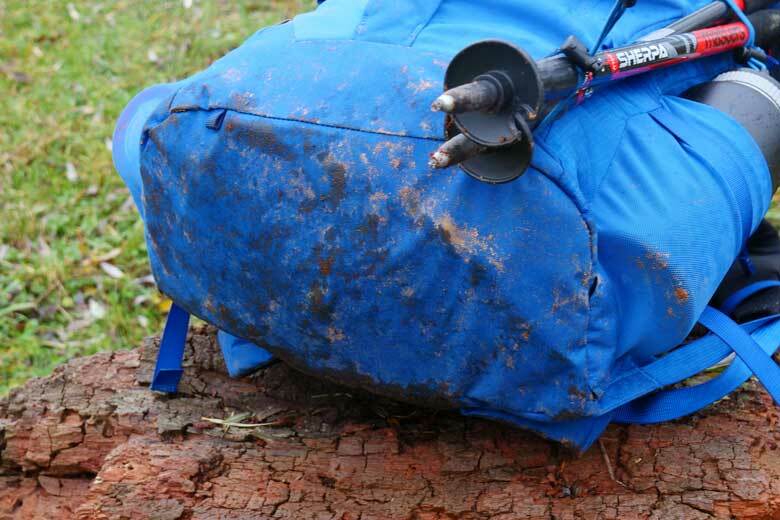 The Bach Packster 32 misses a real left and right hose opening. You can only wear it on the left side. On the shoulder harness there are also no loops or attachment points to guide the hose resulting in a hose that dangles around. The Bach Packster 32 is a minimalistic no-nonsense waterproof backpack for shorter backpackingtrips and hut-to-hut hikes. 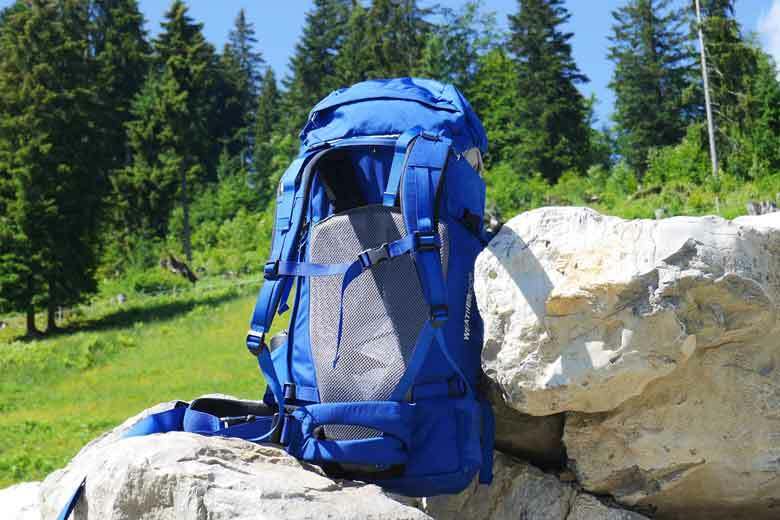 All materials are well chosen and the pack has proven to be very durable. I like the Bach Shield Pro carrying system. It’s a good weight distributer and the close fit to the back is super for your balance on difficult trails. The Packster 32 key-feature is off course the waterproof liner. I think it is brilliant to keep your stuff dry and it is easy to clean. The side zipper is handy to store wet stuff in the not-waterproof compartment. I don’t like the hydration pack construction and I miss a dedicated trekking pole attachment. The price of € 199,95 is pretty steep but there are not many waterproof backpacks out there. I rate the Bach Packster 32 at 7.8 points out of 10. Note: Also available in a 35 liter version with a backlength of 62 cm. * D is short for Denier. Denier is a unit that defines the thickness of a yarn. 10D is very thin, 500D is very thick. This does not mean that de facto thicker is stronger. That is all a matter of material specifications. The 500D Cordura nylon is a very tuff material.